Located in Southwest Asia, this cat-shaped country is one of the world’s most popular travel destinations for a number of reasons that include magnificent history, rich culture, stunning landscapes, hospitable people and appetizing cuisine. One of Iran’s most visited tourist destinations is Isfahan with so much to see and do and it's hard to narrow it down to the essentials while still having an experience that's a good balance of everything the city has to offer. Frequently described as Armenians’ most beautiful avenue, the Jolfa district is a must-see spot. 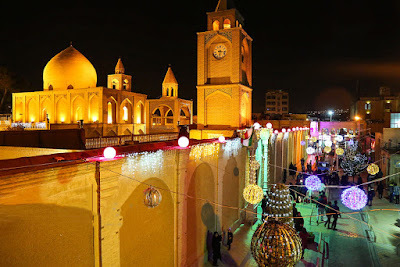 Known for its being the neighborhood inhabited by the Armenian Christian minority of Isfahan, Jolfa district is a place full of vibrancy and activity. Shah Abbas I, the Safavid king since 1587 B.C, displaced the Armenians, who lived in Jolfa city of Azerbaijan region to Isfahan. Special attention of the king to the Armenians of Isfahan caused the Armenians of other cities of Iran to migrate to Isfahan and in a short time the population of Armenians increased. Shah Abbas provided Armenians with big houses and Cathedrals and they named their district "Jolfa". 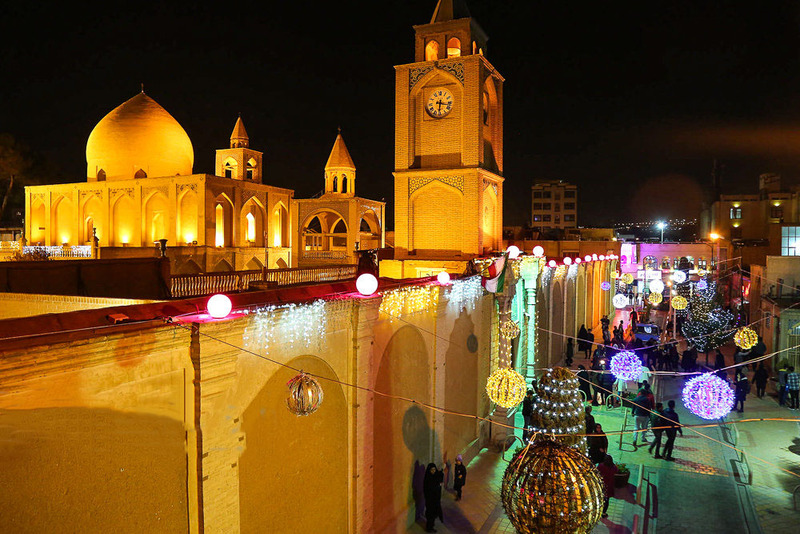 Never miss the world-famous Vank cathedral, which was built in Jolfa during the monarchy of Shah Abbas II, while strolling around the district. Jolfa is an entertainment district and its semi-archaic architecture has stayed untouched until now. The cobblestone alleys lighted by old poles, the snug houses with brick walls and the pleasant tranquility, make the whole district a specific and dreamy area especially during the Christmas season. Uppersia suggests you to enjoy eating lunch or dinner at the cozy pavement cafés and going to the art shops from which you can get your souvenirs home.